If you don’t like juggling SD cards and consider Raspberry Pi with Octoprint too difficult to set up, then we might have the right solution for you: Toshiba FlashAir SD cards. There are already various posts about these Wi-Fi enabled cards in the discussion forums and Facebook groups. However, we wanted to share our own comprehensive guide on how to get this thing running without any issues. The whole process is very straightforward, and you will be able to upload G-codes wirelessly to your printer in just a few minutes! Toshiba FlashAir SD card with Wi-Fi – any capacity, version W-03. This method would not work with W-01 and W-02, because they lack the capability to be mounted as a drive in Windows. Users reported version W-04 does not work either. A computer with an internal or external SD card reader. Toshiba FlashAir looks like a regular SD card and works like one, too. But in addition to the standard SD card functionality, it has wireless LAN capability embedded, it can be programmed in LUA and it can also control its GPIO pins. Plus, it can publish its contents via the WebDAV protocol, which is exactly what we need. To have everything working properly, you’ll need FlashAir version W-03. Older versions do not support WebDAV and can’t be used for our purpose. 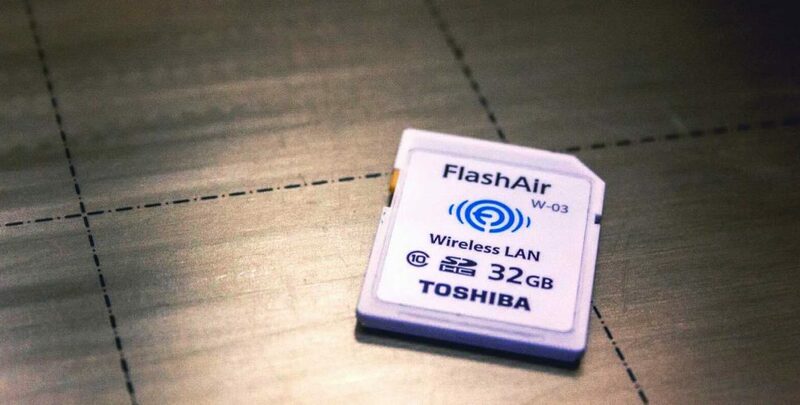 You can get your FlashAir card for roughly 20-40 USD from Amazon, eBay, and even AliExpress. You can also check your local electronics and photo equipment retailers but always double-check the version of the card. From my experience, they often have old stock of W-02 or even the original FlashAir (W-01, although it’s not written on the card). So beware! The card’s configuration is done using a text file. This file is named CONFIG (it does not have any extension) and it resides in the SD_WLAN folder. The folder and the file are hidden, so you’ll have to turn on the Show Hidden Files and Folders function in Windows Explorer. Create a backup of your CONFIG file and name it “CONFIG.old”, for example. APPSSID and APPNETWORKKEY are the name and password of your wireless network. CID is your SD Card ID. It’s a long hexadecimal number and there is no need to change it. Copy the value from your old CONFIG file, because the value in the code above is just an example. VERSION corresponds to the firmware version of your card. Copy the value from your old CONFIG file, because the value in the code above is just an example. The original file can contain more parameters, but they are not important for us at this point. If you would like to know more about FlashAir’s function, you can check the official documentation. Next, there are some optional parameters you might want to tweak, but it’s not required. APPMODE is Wi-Fi operation mode. In our case, we say that the wireless functionality should be enabled and that the card must be in Station Mode (client). APPNAME is the logical name of our card, I named it 3D_printer. STA_RETRY_CT sets how many times the card will try reconnecting to a wireless network upon failure. Zero will set an unlimited number of retries. UPDIR is the path to a folder on the card that allows remote uploads. UPLOAD set to 1 enables actual uploads to the given folder. VENDOR is the vendor of your SD card. WEBDAV set to the value of 2 turns on the WebDAV functionality in read and write mode. The settings above will enable anyone who is connected to your network to manipulate files on your SD card. If this is not what you want, you need to set up authentication using the HTTPDMODE, HTTPDUSER and HTTPDPASS values. See the documentation for more information on how to configure it. Also, you don’t need to worry about saving your Wi-Fi password in a plaintext file. Once the card connects to the Wi-Fi network for the first time, the password is then securely stored and it is replaced by asterisks in the text file. As the last step, create the G-code directory in the root of your SD card. You can now safely remove the card from your computer and insert it into your printer. You basically don’t need to configure anything on the printer. You’ll only have to find out your card’s IP address. 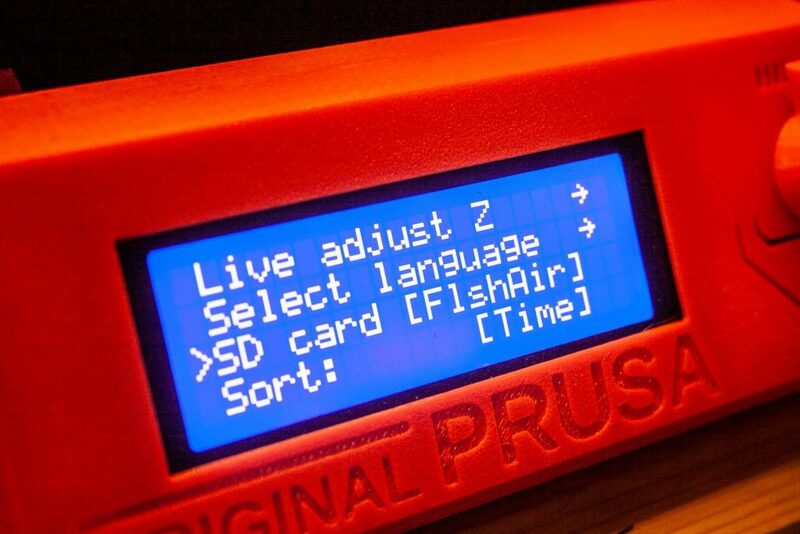 Prusa i3 MK2 and newer have support for FlashAir SD Cards and can tell you the assigned IP address if you activate this functionality. 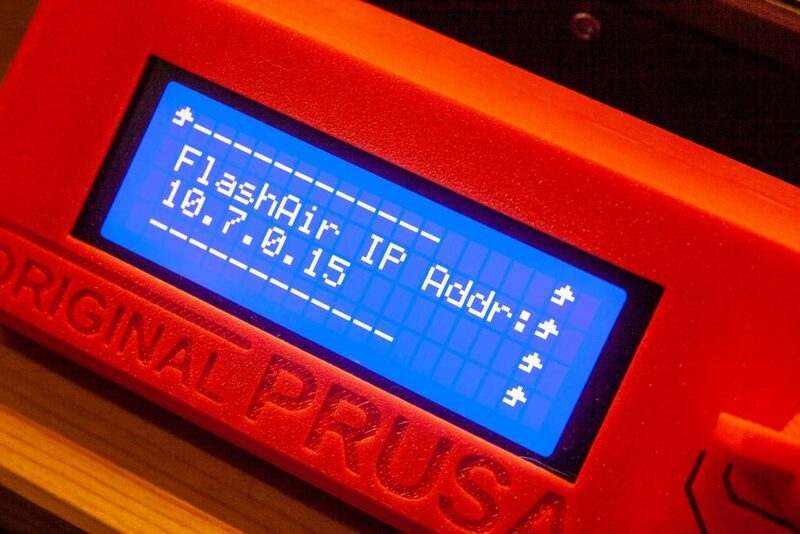 To enable FlashAir support on your printer, go to Menu -> Settings -> SD Card and select FlshAir. Once you do this, you will see your FlashAir IP address in Menu -> Support as “FlashAir IP addr.” Write it down. The IP address can change based upon your network configuration and connected devices. We recommend using the DHCP reservations function of your router, which will assign always the same IP address to the same device (MAC address). Also, it’s good to set a DNS name for your card/printer if you can. Again, the process is different for each router model and type. You can map the card’s WebDAV storage as a network drive in any supported version of Windows and in other operating systems as well. The following instructions describe how to do it in the current version of Windows 10. FlashAir should be compatible with MacOS as well, however, some users are reporting compatibility issues in newer versions of the OS. Check the manufacturer’s website to see whether your system is compatible. It will open the same wizard, where you can choose your drive letter (I use G: as in G-Code) and Folder. The folder path is \\10.0.0.15\G-Code (replace 10.0.0.15 with the IP address of your card). Also, check Reconnect at sign-in, so the mapping will survive a reboot of the computer. Then click Finish. 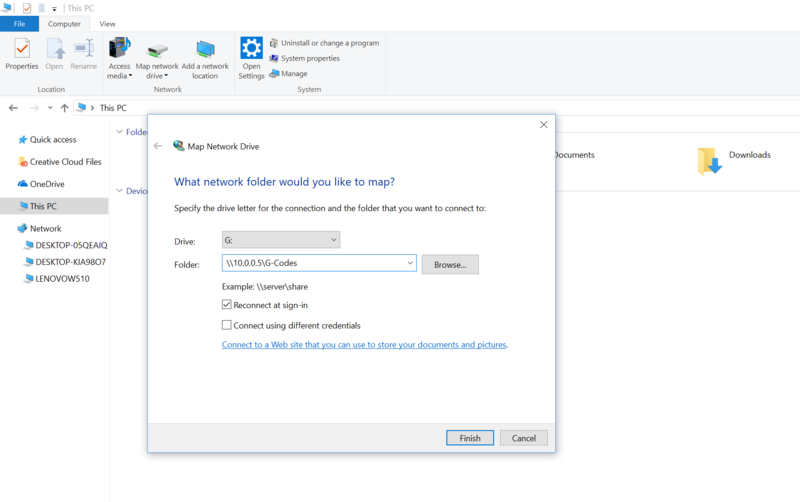 After a few seconds, the new network drive will be added to your computer and anything you’ll save there will be saved to the G-Code folder on your SD card. Please note that your printer will not show all files in the printing menu, only files with G-Code extensions like .gcode, .gc or .g. The FlashAir solution is definitely less powerful than the full-fledged OctoPrint or Repetier-Server installation because it enables you to only transfer files. You can’t start or monitor your print remotely etc. On the other hand, it’s a quick, easy and cheap way how to transfer G-Codes to your printer wirelessly, which makes using our printers even more comfortable. So if you don’t need advanced functions of OctoPrint, this might be just the perfect solution for you. What about other Wireless SD Cards? 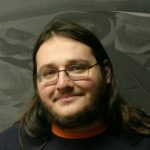 ezShare, Transcend (TS32GWSDHC10 ) and EyeFi? I use this setup for connection of my MK3 and my iMac. The data transfer rate ist pretty low and the connection is sometimes erroneous. Maybe this is because it uses http instead of smb. I actually bought one of these with my MK3, and I couldn’t figure out how to set it up as a wireless client, so it was mostly useless and I tossed it on the shelf until I read this. Since I’m a Linux guy, I wrote command-line scripts to move files between the PC and the card. I put them on GitHub at https://github.com/CrashCash/FlashAirScripts if anyone else is interested. I use this setup for connecting my MK3 with my iMac. Mostly it works, but sometimes it does not work. And it is slow. I same the reason behind it is the protocol, the card uses http instead of smb. The Flashair W-03 16GB SD card worked well for me on the MK3 with Windows7 OS. The Flashair shows up in Window File Exporer as the mapped drive I selected “P”. I can the send files from Simplify3D right out to the Flashair SD card in a few seconds. It was an effort to get all the configuration information and process from all over the internet and the forum but this article should help clarify the process of setup. It is a great option as I did not want the Optiprint option just to transfer files. The Flashair W-03 16GB SD card worked well for me on the MK3 with Windows7 OS. The Flashair shows up in Window File Exporer as the mapped drive I selected “P”. I can then send files from Simplify3D right out to the Flashair SD card in a few seconds. Got this to work using the 11G network. Would not connect using 11N network. I am unable to get the Toshiba FlashAir W-04 card set up to work with the Prusa Mk3 3D Printer on my desktop iMac running High Sierra and am wondering if anyone here has done it. More specifically, the IP address does not show up under Support in the printer. Thanks Michal. Setup was a piece of cake thanks to your article. 5mins up and running. Wifi throughput is not stellar, but enough for day to day use. Now, its down to 20min setting it all up and doing some research. Add this GUI by Dr.Lex into your FlashAir. https://github.com/DrLex0/FlashAirUI and you can do rename, delete. Fact is that the overall user experience is ridicuusly bad. Despite following the instuctions (using a W.-04), I got a “exceeding size allowed”, then after figuring that out, I got an erro (while SD card was plugged) that upload is denied / oversized again blablablabla. Honestly, I wrote off my 30$ and keep on un-/plugging my SDCard just as often as ever. Disappointed. AND NO, I figured out the right config for sure….some part of Toshiba Firmware (latest 4.0.003, FAT32) does not work. No blame on Prusa here, but still, KEEP YOUR HANDS OFF imho. Upon trying to exporting a gcode file to the WEBDAV folder, I get a “not accesîble, paramter is incorrect” error. Boring. I tried to set up Flashair over a year ago and gave up. 15 minutes following your article and files transferring rapidly and flawlessly. Really chuffed! The Flashair W-03 16GB SD card worked well for me on the MK3 with Windows7 OS. The Flashair shows up in Window File Exporer as the mapped drive I selected “P”. I can then send files from Simplify3D right out to the Flashair SD card in a few seconds. for the more tech related help do visit https://www.printererrorrepair.com/blog/connect-hp-printer-wifi-router/ and get the assistance.